Additional Information: This is a wonderful woman sized cloth showing signs of long use. 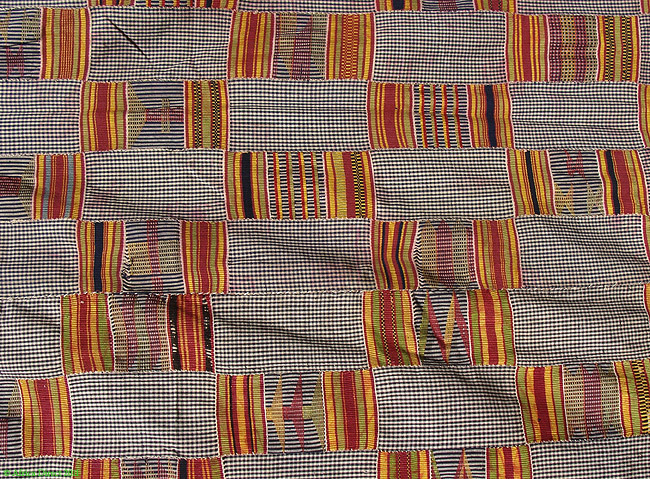 The Ewe people, who live in Ghana and Togo, have textiles similar to the kente of their neighboring Ashante, but they are woven of cotton, and are generally more muted. The use the some technique. But the Ewe seem to have their own motifs and the way they combine and alternate weft and warp and different motifs are different from that of the Asante. 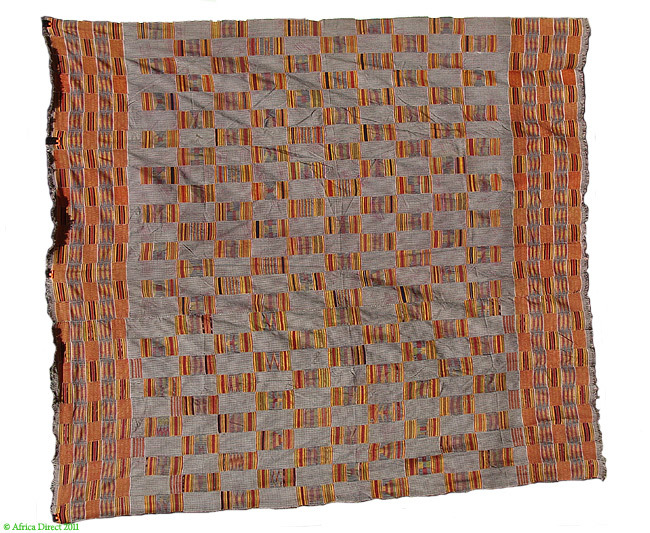 Originally, motifs on these textiles had certain meanings and identified owners social status. 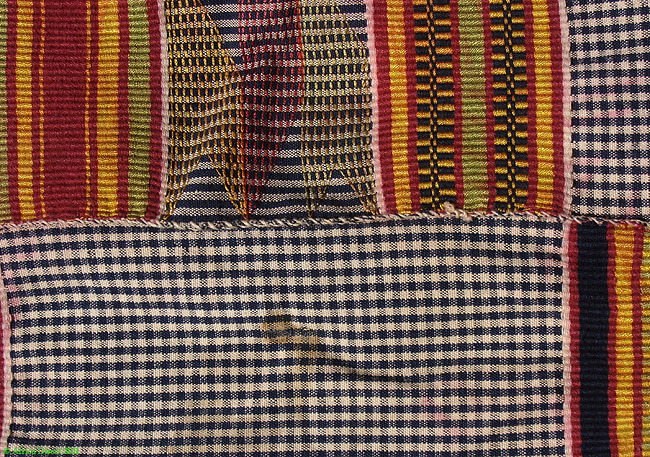 Ewe cloth are worn by men and women. This one was worn by women as a wrapper. The Ewe textiles are called "Keta" because they were originally produced in a coastal town of that name. See AFRICAN TEXTILES by Christopher Spring, and AFRICAN MAJESTY-THE TEXTILE ART OF THE ASHANTE AND EWE, by Adler and Barnard.